EEG Signal Diversity Increases during Stroboscopic-Induced Altered State of Consciousness. David J. Schwartzman|Sackler Centre for Consciousness Science, University of Sussex, Brighton BN1 9QJ, United Kingdom. Michael Schartner|Département des Neurosciences Fondamentales, Université de Genève, 1206 Genève. Acer Y.-C. Chang|Department of Neuroinformatics, Araya Brain Imaging, Tokyo, Japan. 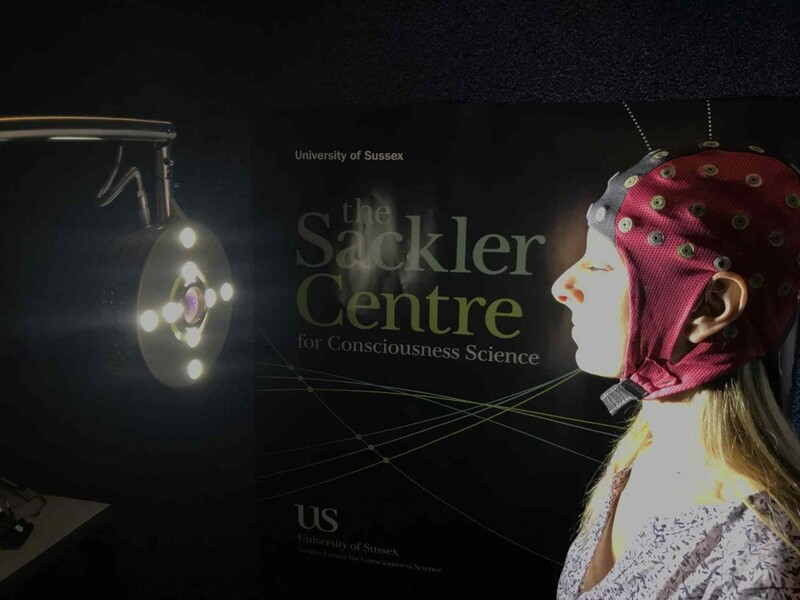 Francesca Simonelli|Sackler Centre for Consciousness Science, University of Sussex, Brighton BN1 9QJ, United Kingdom. Anil K. Seth|Sackler Centre for Consciousness Science, University of Sussex, Brighton BN1 9QJ, United Kingdom. Abstract: What are the global neuronal signatures of altered states of consciousness (ASC)? Recently, increases in neural signal diversity, above those found in wakeful rest, have been reported during the psychedelic state (Schartner et al., 2017, Scientific Reports). These observations raise the possibility that increases in neuronal signal diversity, usually associated with alterations in level of consciousness, in this case reflects the rich phenomenal content associated with psychedelic ASC. To explore this question further and test if the previously found pharmacologically-induced increases in signal diversity were due to drug-specific changes in neural dynamics as opposed to changes in phenomenal content, we used stroboscopic stimulation to induce non-pharmacological ASC while measuring the diversity of EEG signals across distinct phenomenal states. Characterising the effects of stroboscopic stimulation, we found increases in the intensity and range of subjective experiences reported during stimulation across multiple phenomenological dimensions, which were similar to the changes in experience and phenomenal content found during psilocybin induced ASC (Muthukumaraswamy et al., 2013, J Neurosci). Crucially, we found that 3Hz and 10Hz stroboscopic stimulation were associated with signal diversity scores that exceeded those associated with wakeful rest, a similar pattern of results to the psychedelic state (Schartner et al., 2017). These findings provide further support for the hypothesis that increased neuronal signal diversity reflects increases in the range of phenomenal content associated with some ASC. Texte nur auf Englisch erhältlich. Foto & Texte von David Schwartzman zur Verfügung gestellt.